How do I increase the upload size only when editing special pages? When viewing the source, I see that max_file_size set is to 8388608b, the default for the site. This value comes from wp_plupload_default_settings. This means this function must be called before the edit_page_form hook. So, if I cannot use edit_page_form, what can I use instead that will be called before wp_plupload_default_settings in order to check the post? Or, alternatively, should I be checking the post from within upload_size_limit? If yes to the latter, then how do I do that? I think you are on the right track with your idea of checking if the right page is being viewed within the callback attached to the upload_size_limit hook. // Array of post IDs where the upload size will be changed. // otherwise, use the default max upload size. Not the answer you're looking for? Browse other questions tagged php uploads gallery post-editor plupload or ask your own question. How to increase the file size limit for media uploads? 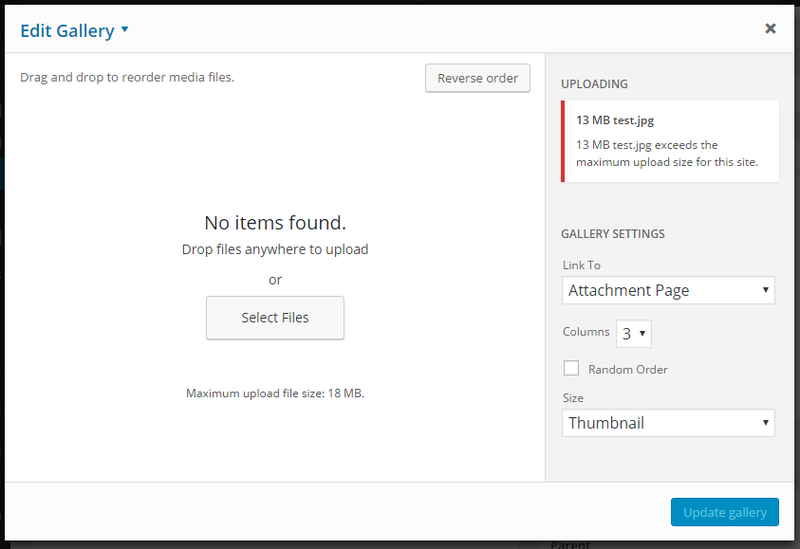 How to Reduce the Maximum Upload File Size? How to decrease the file size upload limit? How can I call specific function if requested URL is not found?